Seach About The Ipoh Now !!!! Copyright 2013 www.ipoh-city.com All Rights Reserved. Ipoh Old Town-Its geographic location in the rich tin-bearing valley of the Kinta River made it a natural centre of growth. It grew rapidly as a mining town. 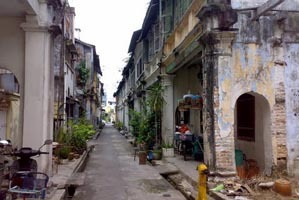 Here you can see all old building in neoclassical style early 19th century. Tua Pek Kong Temple-This temple is an attraction site in Lumut, Malaysia. 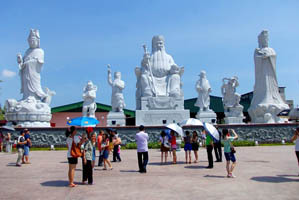 It is famous for the gigantic God statues and the blessings. Many who went there to pray had won lottery. That is also the reason how it can change from a small temple into an attraction site. 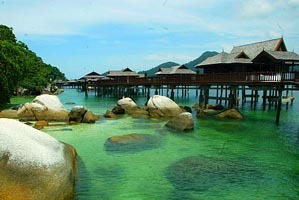 Kuala Sepetang-Just about 60 minutes or 72 km/45 miles to the north-west of Ipoh city to Kuala Sepetang. Kuala Sepetang(Fishing Village) was beautiful at night due to its colony of fireflies.Other attraction like bird watch, dolphin watching, visit mangrove forest & visit charcoal factories. 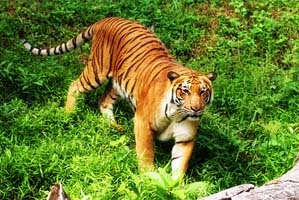 Taiping Zoo-Beautiful natural setting with streams, lakes and abundance of flora; conducive environment for visitors. Taiping Zoo is currently home to more than 180 species of animals. 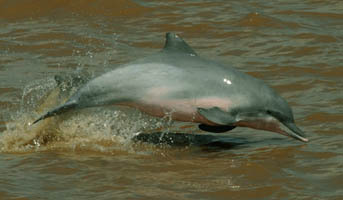 These include tigers, lions, elephants, hippopotamus, giraffes, hornbills, orang utans and others. 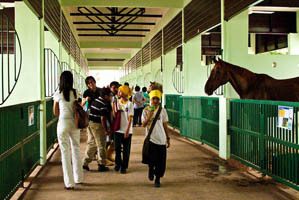 Perak Turf Club-Visiting groups from schools, religious organizations and members of the public are also welcome to avail themselves of the facilities at the PRTC Equestrian Club by signing up for riding lessons at a fee, or for their younger children, pony and carriage rides. 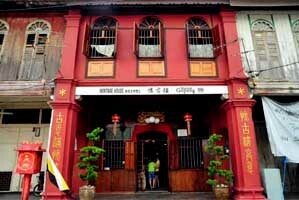 Heritage House Muzeum Gopeng-A visitor would be able to recapture the simple yet dazzling lives of the people of Gopeng some 125 years ago through the numerous antiquities, antiques, old furniture and calligraphy paintings on display.